Take out your wallet and find a one dollar bill. You’re going to want to keep one handy for this list, and if you’re in another country, I apologize, because this list deals with the American dollar. Keep reading though, you may find it interesting even if it’s not your currency. It may not be exactly hidden, but the largest mystery surrounding the one dollar bill deals with the eye floating above the pyramid. The pyramid contains 13 states to symbolize the 13 original colonies, and is unfinished to indicate the future of the country. But no one knows what the eye, surrounded by rays of light, symbolizes. 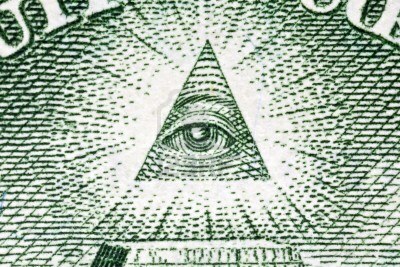 One idea is that it’s represents “eye of God”, but a conspiracy theory is that the eye is the “all-seeing eye” of the Freemasons, and the fact that it’s on the dollar bill is proof the majority of the founding fathers belonged to the Freemasons. 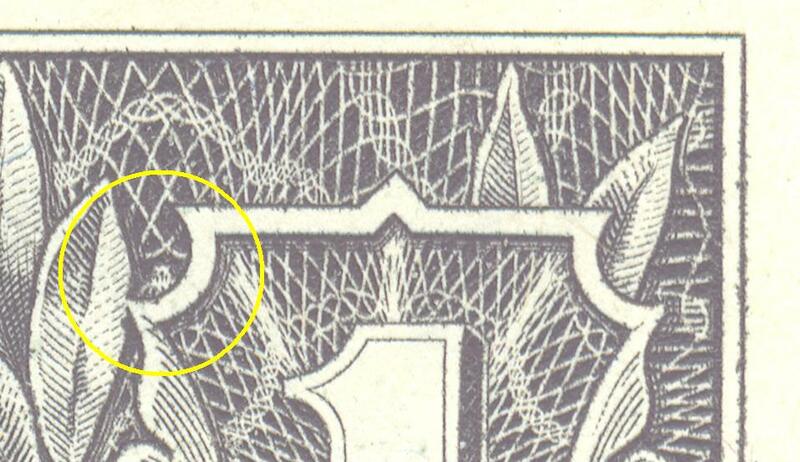 On the left side of the front face of the one dollar bill, there is a circle with a letter in the center. You’ve likely looked at that letter thousands of times in your life, without ever understanding what it actually means. That letter represents which Federal Reserve bank printed the number. Here’s the full list, so that you can discover where your dollar bill was printed: Boston – A, New York – B, Philadelphia – C, Cleveland – D, Richmond – E, Atlanta – F, Chicago – G, St. Louis – H, Minneapolis – I, Kansas City – J, Dallas – K, San Francisco – L.
On the bottom of the pyramid is the date MDCCLXXVI. 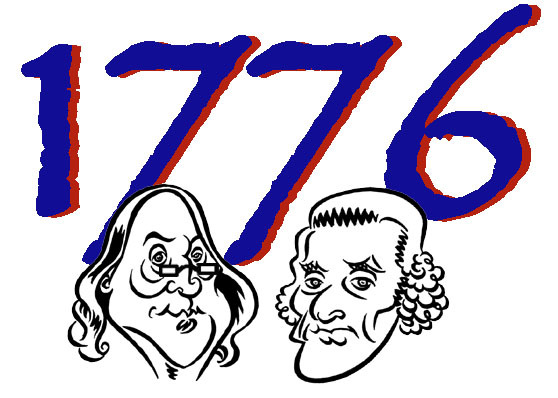 That’s a long Roman number, and a hard one to figure out, so here’s the date in modern numerals – 1776. The founders wanted the year to feature on the one dollar bill because it was it was considered the beginning of a new era, as the United States rose to independence. If you look at your one dollar bill and see a small star after the serial number, you have a “replacement note”. It occurs when a bill is printed with the same serial number as another bill. Since no two bills can have the same serial number, the bill is reprinted to have a star after the serial number. Replacement bills are collected by money fans, and since they’re rare, they can be worth a lot of money online. The number 13, obviously representing the 13 original colonies and not proof of a Satanic theme to the dollar bill like some lunatics’ conspiracy theories suggest, appears many times on the one dollar bill. There are 13 steps on the pyramid, 13 stars above the eagle, 13 vertical and 13 horizontal stripes on the shield, 13 leaves and 13 berries on the olive brach, and the eagle is holding 13 arrows. 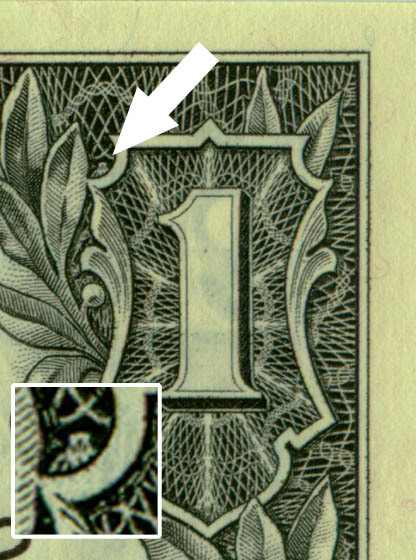 On the top left corner of the dollar bill, behind the word “ONE” and the number, you can see the outline of what appears to be a Maltese cross. This is likely a coincidence since it’s a bit of a stretch, but if you look close enough, you can see the outline of what looks like the Maltese cross rotated slightly. Shiva, the Hindu god known as “the Destroyer” can be found on the back of the dollar bill, although its quite a stretch. On either side of the base of the bottom left-hand “ONE” is a figure in the webbing that could be taken for Shiva, with her hair in a bun, as it is traditionally depicted. The forever alone face is a popular internet meme that popped up in 2009 as a part of Rage Comics. Fans of the sad face soon realized he was on the one dollar bill. 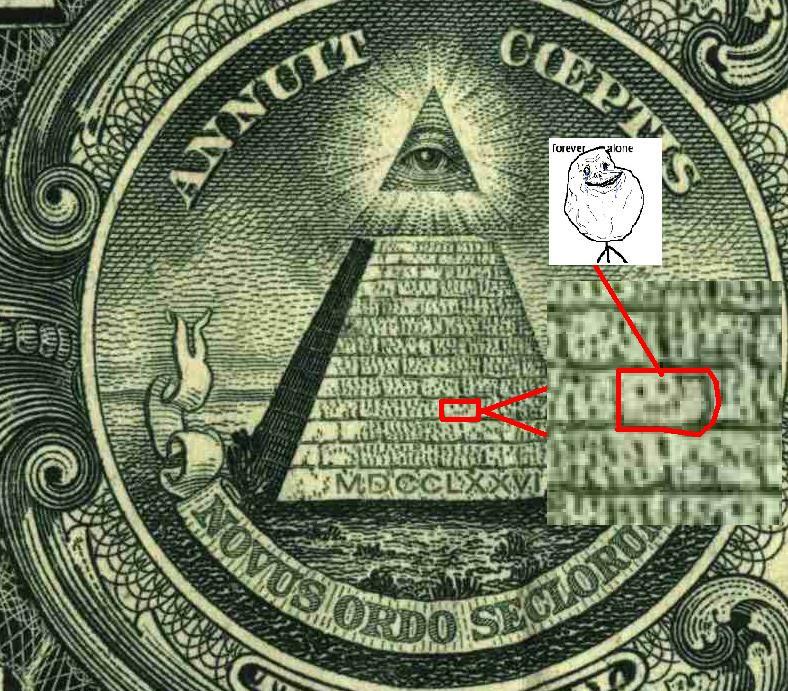 If you look extremely closely at the pyramid, towards the right side of the third row from the bottom, you can see a face that resembles the Forever Alone face. A spider! The argument for the creature being a spider and not an owl is the webbing around the “1”, which can easily be taken as the spider’s web. A spider is a symbol usually associated with evil, maybe even with Satanism, which has fueled conspiracy theories surrounding the one dollar bill. It is a spider… that is why there is a web on every bill, but only a small spider on the 1st bill!!! “Oh what a terrible web we’ve weaved!! !” The start of the lie was thought to be small, but the lie’s consequences will be GREAT!!! isn’t the eye on the pyramid the illuminati????????? The original American dollar bill did not look like this. The original dollar din not have the ever-seeing eye on it. Compare one at the time of the Civil War and how similar in design of the confederate dollar. 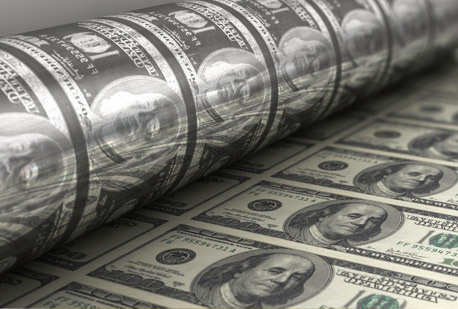 The Federal dollar bill was not anything like todays dollar bill. Also. 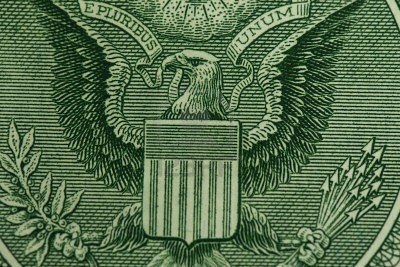 The term E PLURIBUS UNUM contains 13 letters. Its not a spider its a Eagle!!!! The spider is a owl ie Bohemian Grove Owl aka Cremation of Care Child Sacrifice ritual. The Owl imagery of wisdom is farfetched as its only advantage over other birds is its keen eyesight. Ishtar/Lilith imagery accompanied with two owls and lions. Lol who made this? First of all, a person who cannot read roman numerals should avoid making any blogs that have any meaningful connection with science or history. Secondly Shiva is MALE! Thirdly, saying that conspiracy theories are crazy and not even mentioning what is in plain sight, that is the Great Seal with “Annuit coeptis” meaning “favor our undertakings” and “Novus ordo seclorum” meaning “new order of the ages”. The ruffles on George Washington’s chest are the world trade centers. And they are on every dollar bill going back to the 1920’s. The owl is NOT a spider are you mentaly insane?